We're closing today due to the snow and road conditions. Safety first. This is what accumulated at Karen's house overnight. 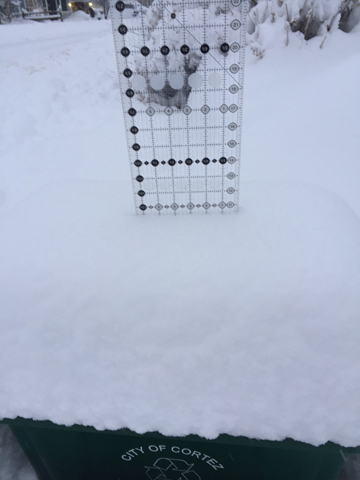 10+ inches and it's still snowing. We'll re-open on Saturday at 9 a.m. and the Beyond Beginning class will begin at 10 a.m. as planned unless conditions worsen. If you go out today drive safely. Better yet . . . stay home and sew if you can!